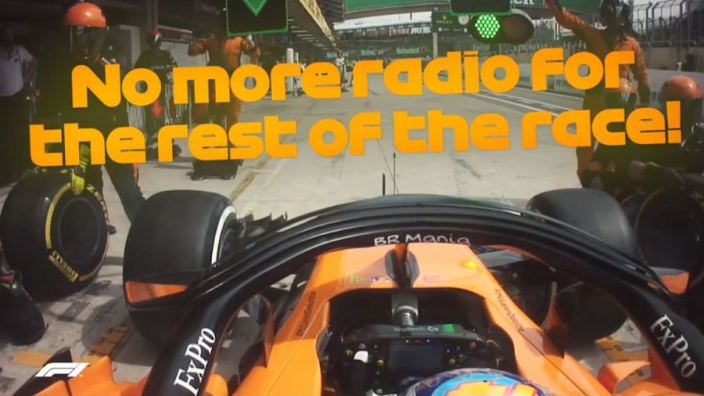 You can often tell quite a lot from a drivers' radio messages during a grand prix – Fernando Alonso certainly fits into that category. A 2018 season that begun with such promise has unravelled rapidly and left the Spaniard fed up with F1 so much that he will quit at the end of the year. From Australia to Brazil, his season can be summed up neatly by two calls over team radio.